Just few days back Riwaj by Shariq Textiles spring dresses 2016 for women has been launched in the fashion market places. This collection has been dedicated to the coming spring season that is full of life and colors. Shariq Textiles is mentioned to be one of the best and well known clothing textile mills in Pakistan. This fashion clothing mill has been best involved in offering with just the women based clothing collections that most of the times appear in the winter and summer seasons. Shariq Textiles highlight their dresses with the traditional elegant strokes that end up their collections to be the catchier ones in the fashion market places. Right inside this collection of stunning Shariq Textiles spring dresses 2016 for women the brand has been giving out the stylish looking dresses designs that are put together in unsitched styles. 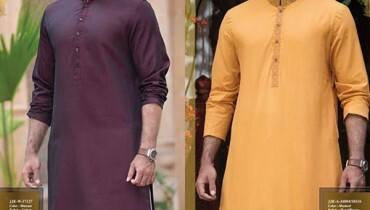 Long shirts are set with trousers and duppattas. In simple we can say that three piece suits are set in the collection. Simple and plain designs are introduced in the collection line that are simply looking so sophisticated. 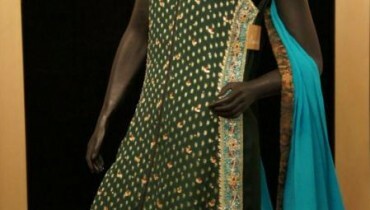 Embroidery and print form of floral work has been added up over the dresses designs that looks so unique. Here we will going to have a quick look at the gorgeous collection pictures of Shariq Textiles spring dresses 2016 for women. As the collection has been designed for the spring season therefore soft and cool breezy color combinations are shaded up that gives the collection with full of life images. Women will love to wear this collection for the casual wear gatherings and family dinners. It is accessible for sale in the market at the reasonable rates. So if you want to turn yourself graceful looking for others in parties then without any second thought visit the market to catch this superb Shariq Textiles spring dresses collection 2016 for women.